Allison Racing Engines returned to the Pittsburgh International Race Complex for more success. The Wampum, Pennsylvania facility welcomed the United States Pro Kart Series program on June 2-4 for their second event of the 2017 season. Allison Racing Engines customers recorded 11 podium finishes over the two days of competition, including five victories and six pole positions at all age levels in the IAME and Yamaha categories. Leading the way for Allison Racing Engines was Connor Zilisch. The Cadet level driver scored two victories on the weekend, both in the Yamaha Cadet category. Saturday began with Zilisch earning pole position in the morning session by just 74 thousandths of a second. The tight field saw Zilisch placed second and third in the heat races. 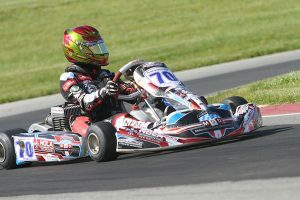 Zilisch put himself back to the front of the field in the main event, leading 13 of the 14 laps, securing his first victory in the category at the USPKS. Connor was second on Sunday after qualifying and the Prefinal. The rain came at the right time, as Zilisch was perfect in wet conditions, leading all 16 laps to a 10-second advantage for his second victory. Zilisch also added a pole position in the IAME Mini Swift category. He was en route to sweep the Saturday round of racing after winning the two heat races, the main event was red flagged and Zilisch ended up second. Connor drove to the runner-up spot on Sunday in the rain, making it four top-two finishes in four races. Tyler Gonzalez was the top driver in IAME Junior for Allison Racing Engines. Gonzalez swept the Saturday round, leading from qualifying to the final checkered flag in his series debut. Tyler cleared the field by two tenths of a second in qualifying, leading all the laps in the two heat races before winning the battle in the main event for his first series victory. 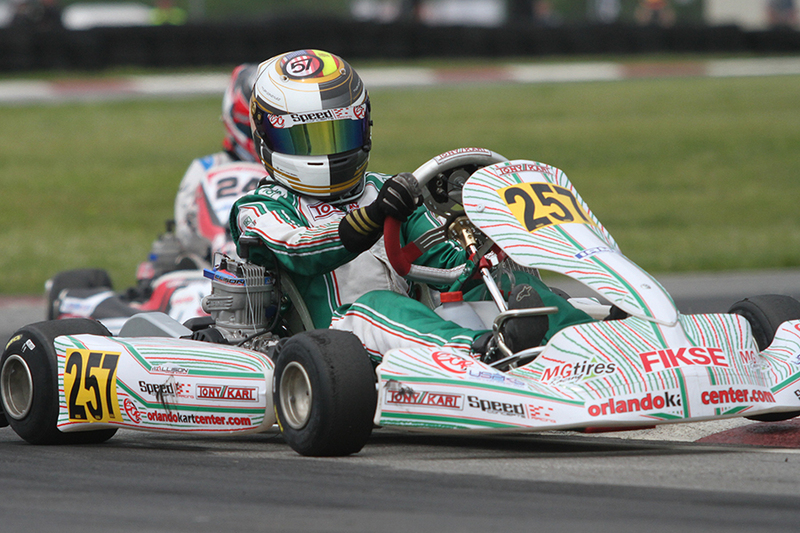 After losing out on the fast time in qualifying on Sunday, Gonzalez struck back to win the Prefinal. He led for much of the Final in the rain until losing the lead, settling for the runner-up position for his second podium finish on the weekend. Colin Neal was the other Junior driver to give Allison Racing Engines a victory, scoring the triumph in the Yamaha Junior division. Neal was among the quickest drivers throughout the weekend. Three thousandths of a second was the difference in Saturday qualifying, with Neal that short of earning fast time. Colin bounced back to win the two heat races before a mechanical issue put him on the sidelines early in the main event. Sunday, Neal ran second in qualifying and the Prefinal before driving away in the wet to score his second victory on the season in the category. 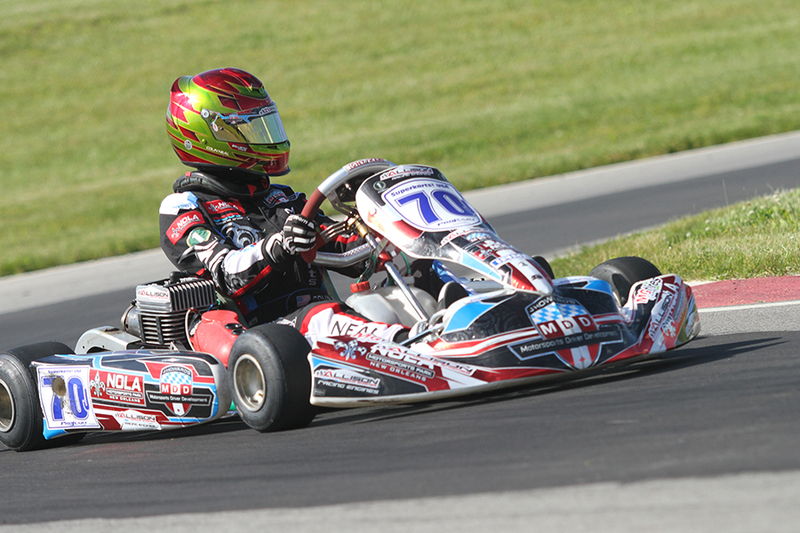 Neal added a third-place finish to his weekend with his performance in the IAME Junior Final on Sunday. The fourth driver to win on the weekend for Allison Racing Engines was Sebastian Ng. Following up a double-win weekend at the WKA event, Ng added another victory to his total in the IAME Micro Swift category. Three drivers qualified within 27 thousandths of a second for Saturday’s round of racing, with Ng placing third. He fought his way to the front in the heat races, placing first in both before winning the main event on the last lap. Sebastian added another heat race win on Sunday with the main event not going his way in the wet. Adding to the Allison Racing Engines record for the weekend, three other drivers recorded pole positions on the weekend. All three came on Sunday, with Cal Stewart putting ARE at the top of the time sheets in the IAME Pro division. Stewart would go on to finish fifth in the wet, backing up this third place performance on Saturday. Danny Dyszelski had his best results in the Yamaha Cadet category, earning fast time and a heat race win. Dyszelski went on to finish sixth in the wet conditions. Alex Powell was the sixth pole position on the weekend, earning his in the IAME Mini Swift category. 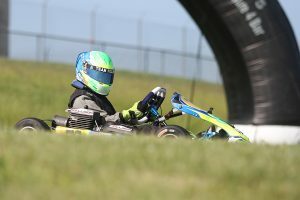 Allison Racing Engines is ready to support many drivers in the company’s backyard, with three major events at the New Castle Motorsports Park in New Castle, Indiana. WKA Manufacturers Cup Series is set for July 14-16, United States Pro Kart Series returns on July 28-30, with the Superkarts! USA Pro Tour SummerNationals on August 11-13. Anyone interested in working with the Allison Racing Engines company moving forward are asked to contact Brandon Jenkins via email AllisonRE@yahoo.com or call 317-522-7111. Allison Racing Engines services all major engine brands, including IAME, Vortex, Yamaha, and other 2-cycle engines. Visit www.allisonre.com or find them on Facebook.